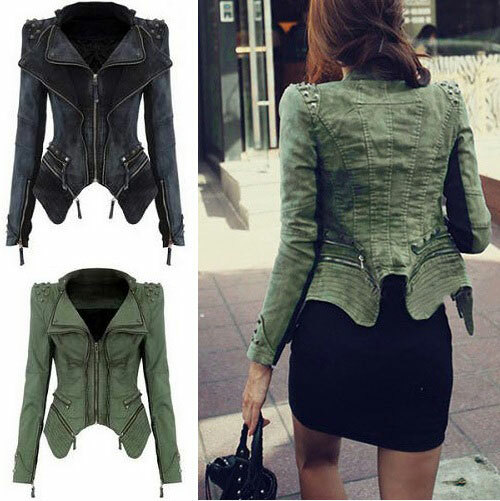 Rivet Zipper Denim Dovetail Jacket Coat, made of high quality denim, punk style. Rivet Zipper Denim Dovetail Jacket Coat, made of high quality denim, punk style. Retro rivet design on the shoulders, cool and handsome. 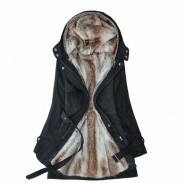 Zipper element is the main characteristic of this coat. Want to be cool? Try this Rivet Zipper Denim Dovetail Jacket Coat. We have two colors for you to choose, black and army green. Very cool and punk style Rivet Zipper Denim Dovetail Jacket Coat! I do like the looks of this coat, after reading other reviews I also ordered bigger than I normally wear.It fits me. Nice coat, but fit a little small from the arms. Is my favorite style, warmth retention property good.